The canals of Venice they are not, but who needs a singing gondolier when you have a Swedish guy handing out beer? 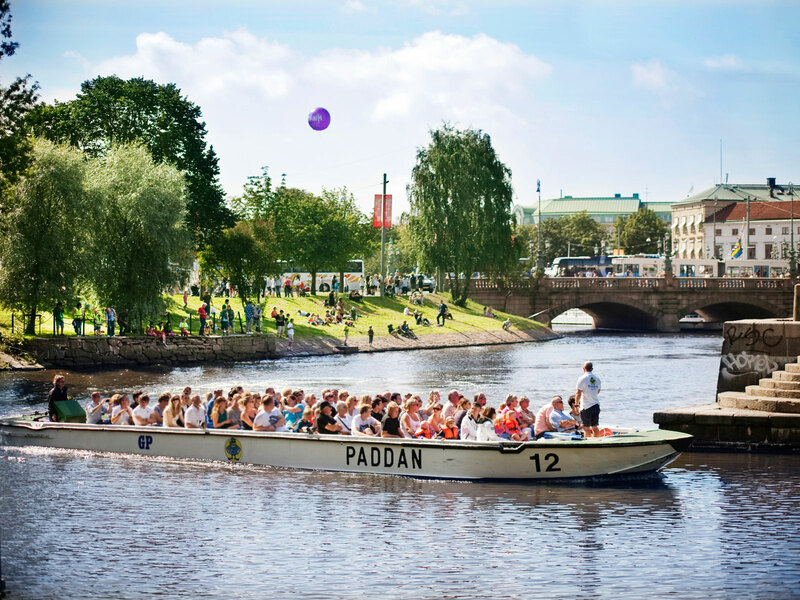 To kick things off at this year's GBG Beer Week in Gothenburg, billed as Sweden's original craft beer week, organizers repurposed a Paddan canal boat typically used for guided tours of the city's waterways into a temporary booze cruise with stops at four breweries — Vega, O/O, Spike, and John Scott's — a chance for visitors to get an initial glimpse at the booming beer scene which now boasts upwards of 40 brewers, nearly a fifth of all Swedish producers. But let's not get ahead of ourselves. Don't feel ashamed if you haven't heard of Gothenburg; I hadn't either until I came to see its craft beer culture for myself — and that's despite the fact that I've drank many of these beers before. In the past year, I've had brews from Stigbergets and O/O and Beerbliotek, but never realized all these brands come from one glorious city. And a city it is. The embarrassment begins to set in when I learn that Gothenburg is the second largest city in Sweden (fifth largest in the Nordic countries) with over a half million people in its limits alone — not that you'd notice walking its spacious, clean, and quiet streets. Located at the mouth of the Gota River, this massive port could also be considered Sweden's "motor city" as it's home to the carmaker, Volvo. But when it comes to craft beer, Americans will feel right at home. Gothenburg — like most places around the globe — has taken the lessons of the U.S. craft beer revolution and applied it to a local beer renaissance all its own. At our first stop, Vega Brewery offers up this year's official GBG Beer Week brew: Goodness Grapecious IPA — a hazy New England-style IPA with added grape must. It's light and tasty, and though it doesn't reach the dizzying heights of an American beer like Dialed-In (also brewed with grape must) from Boston's Trillium Brewing, the connection is clear. At Spike Brewery, I'm served a tallboy can of brut IPA, a new style with California origins that's only been popularized in the past year. The beer, called Dusty Fingers, is labeled with the kind of colorful, peel-off-worthy sticker that's become the packaging norm at breweries around the world: Here it features a close-up photo of a stack of vinyl LPs, highlighting names like Eric B. & Rakim, De La Soul, and Gang Star — rap artists from New York City where breweries like Other Half helped put these kinds of packaging conventions on the map. Still, though it's easy to see these brands as utilizing American conventions, the brewers themselves don't necessarily see it that way. At O/O Brewing, we get a can of Narangi — an IPA that, as the name implies and label states, is intended to have massive notes of orange but "without any fruit. Only hops." The parallel between this brew and something like Julius from Massachusetts's Tree House Brewing seems undeniable. But when I bring up these American names to Brewer Olle Andersson, he simply shrugs it off. "We started brewing around the same time, so I didn't know of them when we started making hazy IPAs," he tells me. O/O launched in 2014, a year after Trillium and the same year as Other Half. Tree House was founded in 2011. "My influence back then was more that it felt like this was a good idea," Andersson continues. "There was nothing called New England IPAs when I made our first New England IPA, so that happened in another place at the same time." That's not to say that Andersson wasn't heavily influenced by American brewers, but instead, he goes back even further to one of the godfathers of craft brewing, Larry Bell and Michigan's Bell's Brewery, established 1985. "They have a nice approach to beer," he says, "and they have a purpose and a sense of what they are making as beer styles and that's very important for us as well." Meanwhile, he says he first became enamored with beer drinking an even more traditional one, Fuller's London Porter. Moments later, we're sent on our way with a bottle of O/O Baltic Porter in hand. In fact, if you're ready to criticize Swedish brewers for their similarities to America, there are clear signs they're in on the joke. Later that night, I'm at Stigbergets Brewery with owner Nils Hultkrantz drinking through their range of beers — including the delightfully restrained Flamingo Juice Mango Pepper Gose and wonderfully executed Amazing Haze IPA. Upon reaching their West Coast India Pale Ale, I comment that I'm getting a bit more bitterness, the kind of difference you'd expect from an American West Coast-style IPA compared to a New England-style one. Hultkrantz just smiles. "It's named that because we are on the west coast of Sweden," he says, equal parts quip and candor. 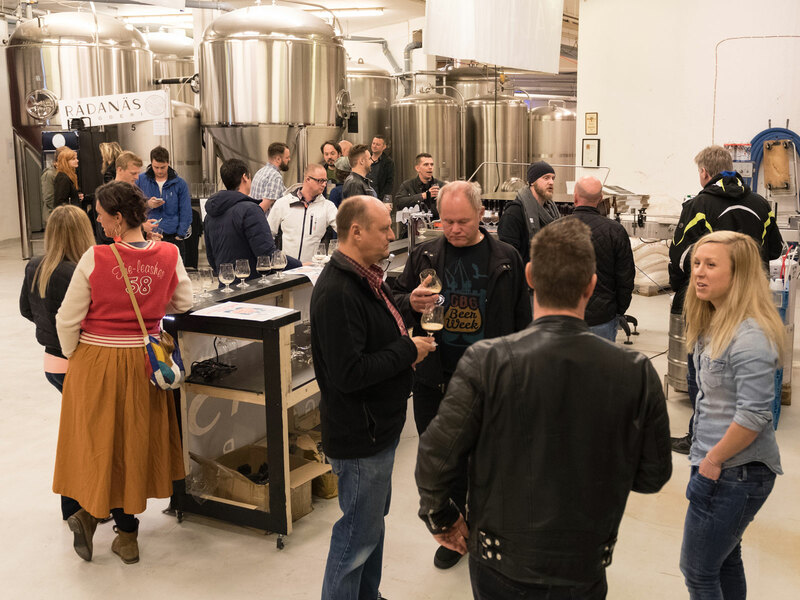 In the end, Gothenburg brewers realize they aren't necessarily doing anything different than the rest of the globe, but what sets them apart is that they are doing it extremely well on a citywide scale. On recent stops in Athens, Lisbon, and Buenos Aires, I've had no problem finding plenty of American-influenced craft beer — be it simple American pales or insanely hazy IPAs — but consistently good craft beer is much harder to come by. 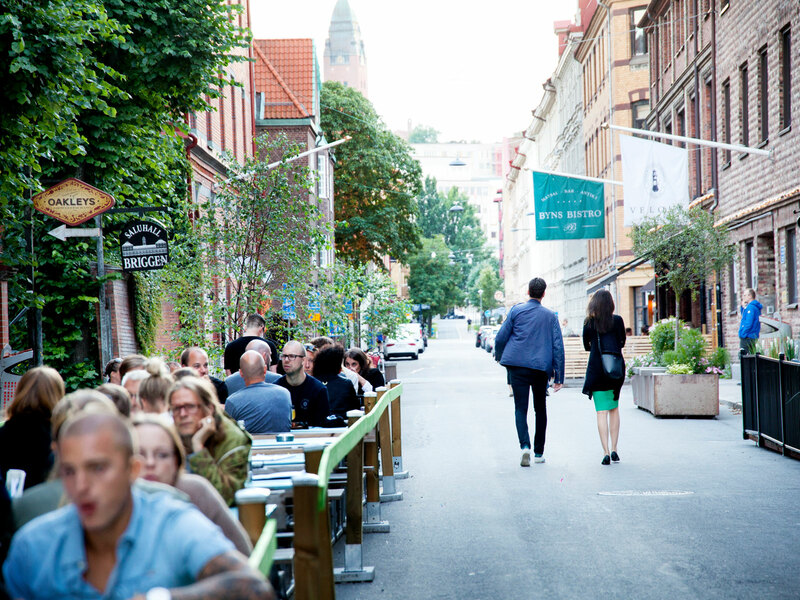 And none of this is to say that Gothenburg's breweries don't offer their unique Swedish charms — in all sorts of ways. Wet Whistle Brewery served us a new, unnamed experiment made with locally-grown native Swedish hops, a variety known as Korsta, leading to a refreshingly light, slightly grassy brew that you could sip all summer. Odd Island Brewing sells a drinkable line of enjoyably straightforward cans enhanced by the backstory that the co-founders are former members of the extremely successful Swedish death metal band In Flames. On my last day, we drop into Radanas Brewery, located in a former helicopter hangar that also happens to be the ground floor of the residence of Henrik Jonsson — the eccentric owner who says he started a brewery in his massive house because he wanted to serve people his own beer. Their Ekologisk Pilsner brings plenty of perk to the often straightforward style; their Ekologisk Saison skews sour, fittingly funky for such a strange brewery and just the way I like it. As we sip on some brews, Jonsson, a serial entrepreneur who made big bucks in event promotion, shows us his new deck with a giant hot tub overlooking the water. With the press of a button, a secret beer fridge rises from below the wooden slats. Drinking beer in a hot tub: What's more authentically Swedish than that? On my final night in town, we stop at a joint called Steampunk Bar, which has an unexpectedly dizzying craft beer selection for a bar with such a distinct theme. I grab a can from one of the many breweries I haven't tried during my three-day stay: Late Bloomer is a low-ABV session IPA with easy-drinking notes of melon. It's courtesy of a brewery called Mikrofonbryggeriet. My Swedish is terrible, but if I had to muster a translation, I'd say it means that I've only scratched the surface of Gothenburg's beer scene. Someone else in our group ordered a beer from Omnipollo, probably Sweden's best-known and most praised modern brewery. 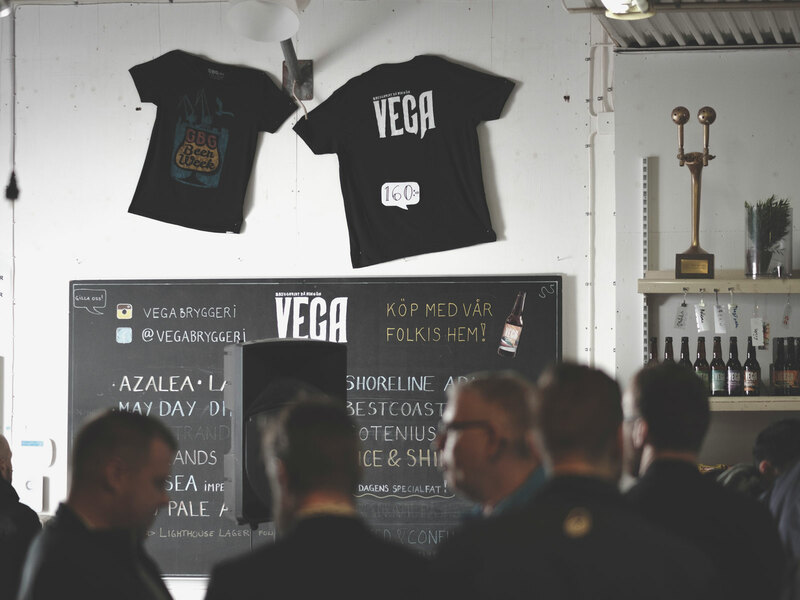 Though the brand is technically based in Stockholm, they do a lot of their brewing over in Gothenburg. I finally feel the shame of ignorance creeping up again — but it's nothing that can't be whisked away by another great beer, and luckily I'm in a good city to find one.